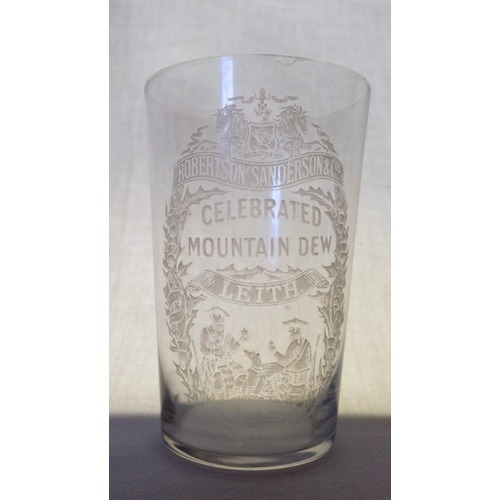 A beautiful advertising acid etched late Victorian whiskey tumbler/glass. 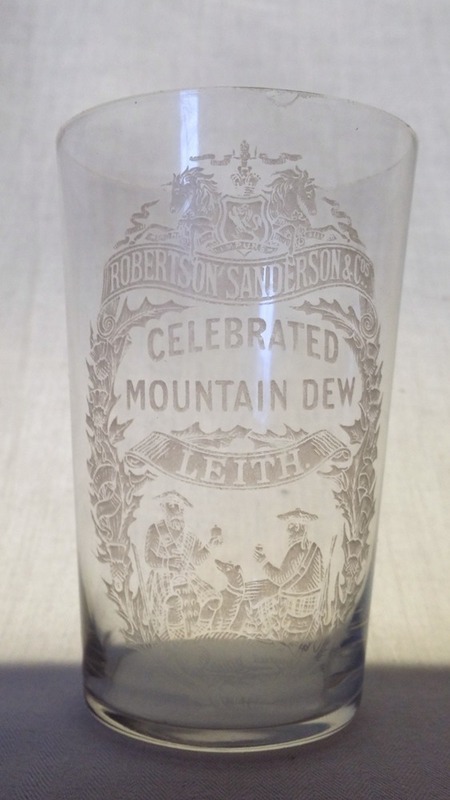 Etched with ‘Robertson Sanderon & Co’ “Celebrated Mountain Dew” Leith. Small flea bite to the rim.